Hello to all on this crisp, cold (at least where I am) Friday in November. Hope everyone is having a wonderful Fall so far. I sort of semi-extended my Internet fast into the week, and haven’t spent nearly as much time as usual online. It’s been …. wonderful. Really, really nice. In that vein, I don’t have much to share! We found out over the weekend that my 6 month-old is allergic to Amoxicillin, a fairly common allergy in infants but still scary to us at first. Took a little while for us to adjust … and to not want to sleep on a camp pad beside her crib every night to make sure she was still breathing. But all is well. There’s a little one-page article in the December issue of O Magazine called ”The Dork Ages,” and it’s about a woman named Merilee Allred, who started a site on Tumblr called “The Awkward Years Project.” In it, people post photos of themselves, now, holding a photo of themselves at their most awkward. Allred says, “I want people to relive their past and be proud of who they are now” (O Magazine, 36). The article struck me because A) It’s a neat concept–and especially good for young people, who are at times paralyzed by how they appear to the world–to consider, and embrace: this is who I was, who I am; B) Allred is curiously close to my age, so her “awkward” portrait looked oh so familiar; and C) I love the title. Those years–especially the middle school ones–truly are the dark ages. As in no light. As in horrifying. Think I’m exaggerating? Ask a 13 year-old. Anyway, I may just post a photo of my own. I can see it now: In it, I’m about 12 or 13 years old–definitely in the 7th grade, which was probably the most glorious year of my life. Ha. I’m wearing a color-blocked knit dress (funny how color block is now back in style?) black hose (yes, hose–as in nylons), ginormous patent leather black dress shoes (long feet are a blessing from my mother, whose father once told her she could waterski in her church shoes), and I’ve got one of those early ’90s haircuts. You remember them: the almost-grown-out perm. The puff bangs: one section curled down and one curled up? I think this was the last time I used an actual curling iron. My features are too big for my face: giant, lipsticked lips on my great big smile, a huge nose, big eyes and bright, shiny metal braces. It was an ugly, ugly year. But I got through it, and that, I think, is Allred’s point. And I must say, I’m proud I still grinned big, even with the brace face. I’d post the photo here, but it’s currently molding in the basement of my parents’ house in South Carolina. I swear. Check out the Awkward Years Project here. Think about posting a picture of yourself! I meet Piper Peters Aheron at the 2013 Birchwood Book and Author Fair at Table Rock State Park in South Carolina, where we quickly realized we shared a deep interest in and abiding love of the South Carolina Upcountry–and that we’d perused several of the same research sources when writing our books about the area. Since then, we’ve become Twitter buddies, which is a blast–one of the very neat perks of having writer-friends. Yep. I’m a history dork. I studied the American Revolution in the South, and along the Southern frontier (i.e. 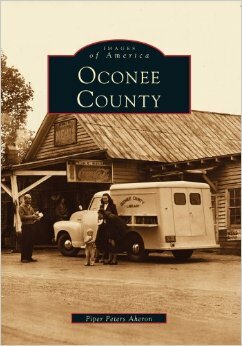 in the foothills and mountains of the South) for two years when researching Keowee Valley. 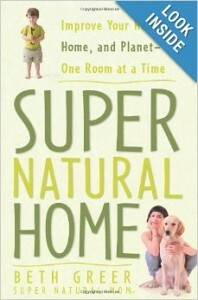 Now that I’m diving into its sequel–a dreadfully slow process–I’m looking for great new books. 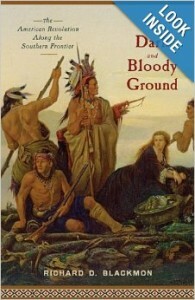 This one popped up on a Google search, where one reviewer called it “… a solid overview of the entire frontier war for the South in one volume, placed deftly in the context of the larger war as a whole” (Past in the Present). Exactly what I was looking for. I love this magazine, from the SC Department of Natural Resources; subscribed to it as a kid all the way up until a few years after we moved to North Carolina. Either my Crawford grandparents, aunt, or one of my uncles had originally given it to me as a Christmas present, long ago. Recently, it arrived in the mail: my uncle had decided to gift it once again–a lovely surprise. I can’t wait to dig in. 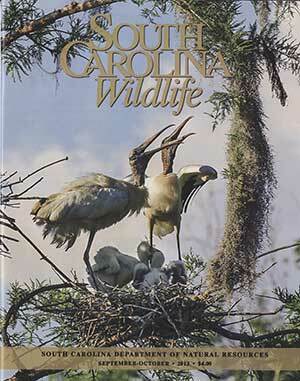 A must for any South Carolinian interested in learning more about the natural treasures of home. FYI: They’re running a special right now: you can give the magazine as a gift for only $12 per year. Happy weekend to all! Stay warm! This entry was posted in choices, Fall, historical fiction, history, Katherine Scott Crawford, Keowee Valley, mountains, NC, Uncategorized, writing and tagged American Revolution, Awkward Years Project, Beth Greer, Dark and Bloody Ground, Katherine Scott Crawford, magazine, Merilee Allred, NC, Oconee County, Piper Peters Aheron, Richard D. Blackmon, SC, Show & Tell Friday, South Carolina Wildlife, Southern frontier, Super Natural Home. Bookmark the permalink.